The bells are rung by an enthusiastic band of ringers, for every service in the church (except 8 am) and there is a regular practice night on Fridays which attracts visiting ringers from the area. There is a peal attempt once a month which may last up to 3½ hours, the bells are rung after weddings and occasionally rung for funerals, half-muffled. The ringers are members of the Ely Diocesan Association of Church Bell-ringers and several of the St Neots members are Association Officers. 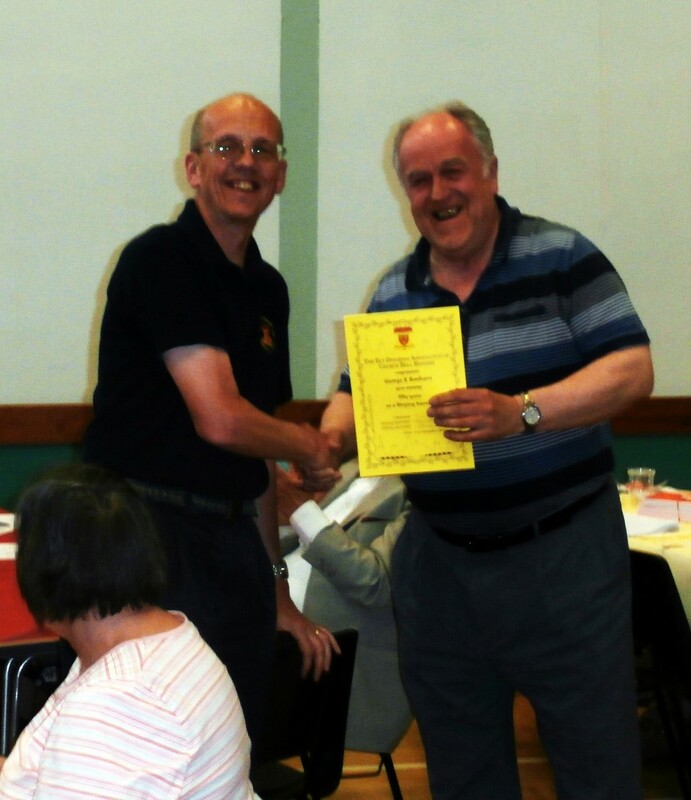 Former Tower Captain, George Bonham receiving his 50 years' Ely DA membership from Chairman, Tom Ridgman at the 2013 AGM at Ickleton. A ring of 8 bells was cast and hung in the church by the local bell-founder, Joseph Eayre, in 1753. This became the cause of some division in the parish and some influential people refused to pay their promised subscription towards the costs. The tenor bell of this peal caused more problems when a crack was discovered in 1831 and the bell was recast by William Dobson at Downham Market. The bells deteriorated towards the end of the 19th century and eventually £1000 was raised to recast the bells and they were duly installed in the church tower in 1919 as a memorial to those who died in The Great War. The bells were re-hung on ball bearings by Taylors of Loughborough in 1971 and in 1984 as a result of a bequest, were augmented to a ring of 10 bells. The tenor, weighing over 29 cwt, meant that the bells were quite heavy for inexperienced ringers to practice on, but the 2 extra bells ensured that a light front 6 would benefit ringers learning Minor (6 bell) methods, Major (8 bell) methods could still be rung on the original 8 bells and Royal (10 bell) methods could now be rung. 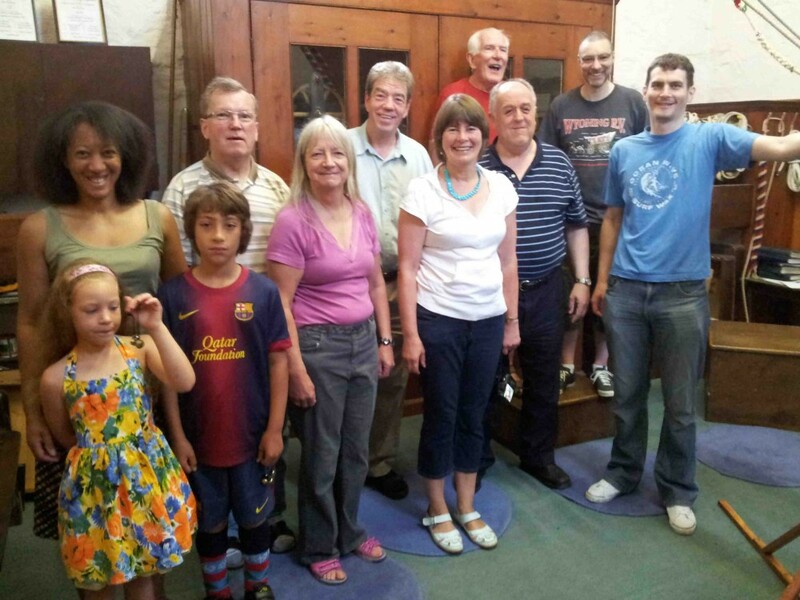 St Mary's Church Bellringers who got up early to ring the bells at 8.12 am to mark the start of the Olympic Games in 2012.